Every era has its giants, but when the world moved out of the Victorian age, architecture reached new heights. From soaring skyscrapers to dramatic innovations in engineering and design, 20th century modern architecture transformed the way we think about building. Architecture enthusiasts the world over have picked these top ten buildings, naming them the most beloved and revolutionary structures of the recent past. 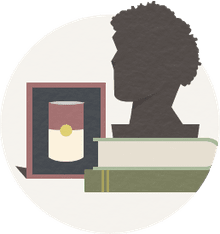 This list may not include the choices of scholars and historians — you can read expert opinions in books like the 2012 Phaidon Atlas. These are the people's choices, important architecture from around the world that continues to awe and influence the lives of ordinary citizens. Spanish architect Antoni Gaudi defied rigid geometry when he designed Casa Mila Barcelona. Gaudi was not the first to build "light wells" to optimize natural sunlight — Burnham & Root designed Chicago's Rookery with a light well in 1888 and the Dakota apartments in New York City had an inner courtyard in 1884. But Gaudi's Casa Mila Barcelona is an apartment building with a fanciful aura. Wavy walls seem to undulate, dormers spring from the roof with a comical array of chimney stacks dancing nearby. "The straight line belongs to men, the curved one to God," Gaudi has asserted. Designed by architects Reed and Stem of St. Louis, Missouri and Warren and Wetmore of New York City, today's Grand Central terminal building in New York City features lavish marble work and a domed ceiling with 2,500 twinkling stars. Not only did it become part of the infrastructure, with roadways built into the architecture, but it became a prototype for future transportation hubs, including the one at the World Trade Center site in Lower Manhattan. Architect William Van Alen lavished the 77-story Chrysler Building with automotive ornaments and classic Art Deco zigzags. Soaring 319 meters / 1,046 feet into the sky, the Chrysler Building was the tallest building in the world...for a few months, until the Empire State Building was finished. And the Gothic-like gargoyles on this Art Deco skyscraper? None other than metallic eagles. Very sleek. Very modern in 1930. When it was built, the Empire State Building in New York City broke world records for building height. Reaching into the sky at 381 meters / 1,250 feet, it rose above the newly built Chrysler Building just blocks away. Even today, the height of the Empire State Building is nothing to sneeze at, ranking within the top 100 for tall buildings. The designers were architects Shreve, Lamb and Harmon, who had just finished the Reynolds Building — an Art Deco prototype in Winston-Salem, North Carolina, but about a quarter of the height of New York's new building. Frank Lloyd Wright fooled gravity when he designed Fallingwater. What seems to be a loose pile of concrete slabs threatens to topple from its cliff. The cantilevered house is not really precarious, but visitors are still awed by the improbable structure in the Pennsylvania woods. It may be the most famous house in America. Frank Lloyd Wright redefined space with the Johnson Wax Building in Racine, Wisconsin. Inside the corporate architecture, opaque layers of glass tubes admit light and create the illusion of openness. "Interior space comes free," Wright said of his masterpiece. Wright also designed the original furniture for the building. Some chairs had only three legs, and would tip over if a forgetful secretary did not sit with correct posture. Hovering in a green landscape, the Farnsworth House by Ludwig Mies van der Rohe is often celebrated as his most perfect expression of the International Style. All the exterior walls are industrial glass, making this mid-century home one of the first to meld commercial materials into residential architecture. Maybe the architecture is popular because of the special lighting effects every year during the Vivid Sydney Festival. Or maybe it's the feng shui. No, Danish architect Jorn Utzon broke the rules with his modern expressionist Sidney Opera House in Australia. Overlooking the harbor, the venue is a freestanding sculpture of spherical roofs and curved shapes. The real story behind designing the Sydney Opera House, however, is that building iconic structures is too often not a smooth and easy road. After all these years, this entertainment venue is still a model of modern architecture. Ludwig Mies van der Rohe and Philip Johnson rejected "bourgeois" ornamentation when they designed the Seagram Building in New York City. A shimmering tower of glass and bronze, the skyscraper is both classical and stark. Metallic beams emphasize the height of its 38 stories, while a base of granite pillars leads to horizontal bands of bronze plating and bronze-tinted glass. Notice that the design is not stepped like other skyscrapers in NYC. To accommodate an "international style" of modern design, the architects built the entire building away from the street, introducing the corporate plaza — the American piazza. For this innovation, the Seagram has been considered one of the 10 buildings that changed America. Designed by Minoru Yamasaki, New York's original World Trade consisted of two 110-story buildings (known as the "Twin Towers") and five smaller buildings. Soaring above the New York skyline, the Twin Towers were among the tallest buildings in the world. When the buildings were completed in 1977, their design was often criticized. But the Twin Towers soon became a part of America's cultural heritage, and a background for many popular movies. The buildings were destroyed in the 2001 terrorist attacks. 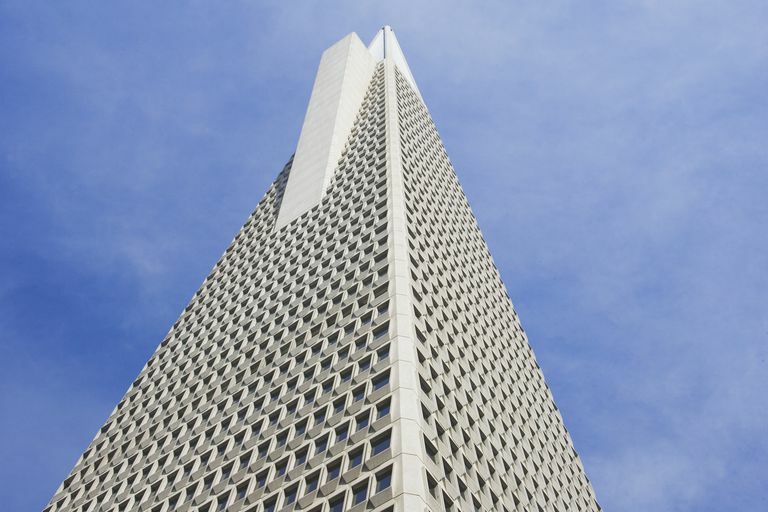 Local architecture is often the people's choice, and so it is with San Francisco's TransAmerican Building (or the Pyramid building). The 1972 futuristic skyscraper by architect William Pereira soars in beauty and certainly defines the local skyline. Also in San Francisco is Frank Lloyd Wright's 1948 V. C. Morris Gift Shop. Ask the locals about its connection with the Guggenheim Museum. Chicagoans have a lot to brag about in their city, including the Chicago Title & Trust Building. The beautiful all-white constructivist style Chicago skyscraper by David Leventhal of Kohn Pedersen Fox is not the first building visitors think of in Chicago, but the 1992 structure brought postmodernism to downtown. The locals in Boston, Massachusetts still love the John Hancock Tower, the reflective 1976 skyscraper designed by Henry N. Cobb of I. M. Pei & Partners. It's massive, but its parallelogram shape and blue glass exterior make it seem light as air. Also, it holds the complete reflection of the old Boston Trinity Church, reminding Bostonians that the old can live nicely next to the new. In Paris, the Louvre Pyramid designed by I.M. Pei is the modern architecture the locals love to hate. Thorncrown Chapel in Eureka Springs, Arkansas is the pride and joy of the Ozarks. Designed by E. Fay Jones, an apprentice of Frank Lloyd Wright, the chapel in the woods may be the best example of modern architecture's ability to innovate within a valued historical tradition. Built of wood, glass, and stone, the 1980 building has been described as "Ozark Gothic" and is a popular wedding venue. In Ohio, the Cincinnati Union Terminal is most loved for its arch construction and mosaics. The 1933 Art Deco building is now the Cincinnati Museum Center, but it still takes you back to a simple time when there were big ideas. In Canada, Toronto City Hall stands out as the citizens' choice for moving a metropolis into the future. The public voted down a traditional neoclassical building and, instead, held an international competition. They chose the sleek, modern design by Finnish architect Viljo Revell. Two curved office towers surround a flying saucer-like Council chamber in the 1965 design. The futuristic architecture continues to be breathtaking, and the entire complex at Nathan Phillips Square remains a source of pride for Toronto. People around the world are proud of their local architecture, even when the designs are not by locals. The 1930 Villa Tugendhat in Brno, Czech Republic is a Mies van der Rohe design filled with modern ideas for residential architecture. And who would expect modernism at the National Parliament building in Bangladesh? The Jatiyo Sangsad Bhaban in Dhaka opened in 1982, after the sudden death of architect Louis Kahn. The space Kahn had designed became not only the pride of a people, but also one of the greatest architectural monuments of the world. The people's love of architecture should be listed at the top of any chart.